Here we have our Mini Cooper S finished in Grey with Half Black Leather Interior. The car comes with great service history only missing one stamp. The Cooper has John Cooper Kit to give it a really sporty look. 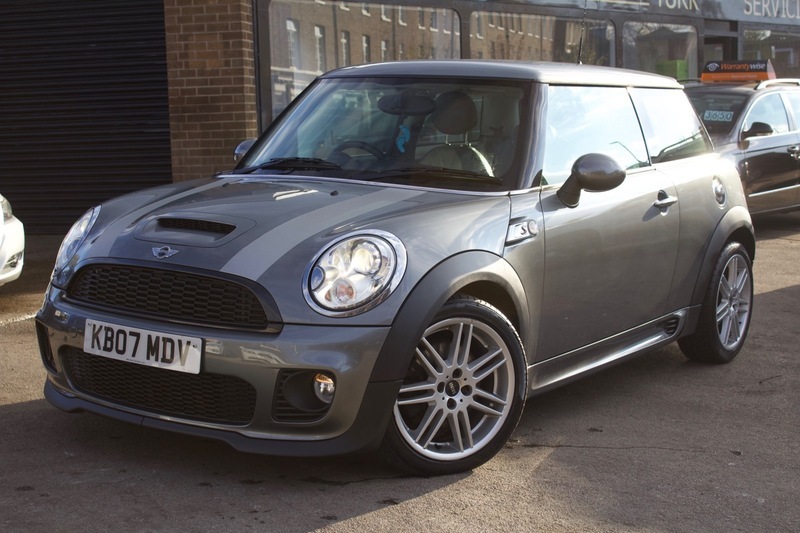 The Cooper S also comes with ABS, Alloy Wheels, CD Player, Electric Windows, PAS, Cup Holders, Xenon Headlights, Electric Mirrors, Mini Boost, AUX port, Sport Mode Button. The Car comes with MOT, Service, Free AA Cover and Warranty. Extended Warranty is available, please contact for details.